A collection of articles on human anatomy and how the body's systems and tissues respond and adapt to exercise. Muscle does alot more than just shorten to create movmement! Read this page for an overview of the numerous functions of this amazing tissue. If you're training your clients for optimal strength or power gains you must understand how these components differ and how force is regulated. The answers are all right here for you. Concentric, eccentric and isometric? Agonist, antagonist, synergist and fixator? If you want to know what these terms mean in 'plain english' then it is all revealed right here. For your reference value these charts show the major superficial and deep muscles of the human body. If you want to effectively stretch your personal training clients or help them to develop more power then you must understand how the muscle spindle and stretch reflex work. Read here to refresh your understanding. Read this page and discover how the nervous system controls everything we do - with significant implications for exercise instruction. Nerves and neurons are the 'wiring' that allow the nervous system to control everything we do. Read this page and get yourself 'wired in'. To ensure your clients adapt to exercise in the way they desire you must understand how hormones govern those adaptations. Here it is then; the endocrine system explained. These tables provide a brief summary of the functions and responses of the major hormones in relation to exercise. The ability to utilise oxygen is vital for all types of performance. On this page we provide an overview of the system that governs oxygen intake and the four distinct stages of 'respiration'. In 'lay' terms pulmonary ventilation is quite simply - breathing! Learn about the process and the key diaphragm muscle on this page. Commonly known as external respiration this refers to the process of gas exchange between the lungs and 'external' environment. Read this page and find out how it all happens and why our blood is sometimes referred to as 'blue'. Read this page to see how the respiratory and cardiovascular systems work in tandem to transport oxygen and carbon dioxide around the body. Commonly known as 'internal respiration' this refers to the process by which the respiratory gases are exchanged between the blood and the tissues of body. Learn about it all right here. Here's an overview of the cardiovascular system, its functions and some terms that you may need to refresh your knowledge of..
On this page we take a closer look at the four major functions of the cardiovascualr system - transportation, protection, fluid balance and thermoregulation. Our own in-build mechanical pump that works 24/7 without taking a break! Check this page out to discover how this amazing organ works. Blood - the fluid of life! Learn all about blood and how the structure of blood vessels assists the transportation of gases and nutrients around the body. Read this page to refresh (or learn) why blood pressure is such an important measure for trainers to understand and take accurate measurements of. Here's an overview of the immediate responses and longer term adaptations of the body in response to different types of exercise. To achieve the desired adaptation you must choose the ideal training type - simple really, and explained right here. Read this page to discover how the heart responds to different types and intensities of exercise. 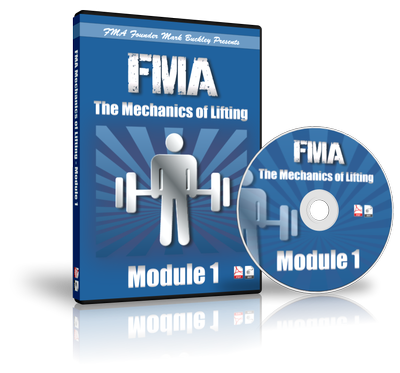 Vital knowledge for every personal trainer. This page looks at how blood flow, acidity and pressure respond to different types and intensities of exercise. Read this page to understand the critical implications for your clients safety. Learn what types of exercise you should be most wary of for creating heat stress in your personal training clients by reading this page. This page highlights the specific adaptations made by the respiratory system in reponse to the types of training that place the greatest demand on this system. Some of the most significant and undervalued adaptations to exercise occur in the neuromuscular system. Learn what types of training produce the most significant adaptations here. A short but by no means insignificant page to read here with a very clear message for all personal trainers. Your clients should always make progress in their training. That progress is often determined by the metabolic adaptations the body makes. Learn what adaptations to expect from different types of training by reading here. The majority of personal training clients train to alter their body composition - there is a very simple, clear message on this page with specific regard to clients wanting weight/fat loss. Generally the first most neglected parts of any exercise programme! Read this page to understand the significance of what you and your clients may well be missing out on. ATP – Energy's Ultimate Form! Every single thing you do depends on your bodies ability to produce ATP. Learn all about this fascinating molecule of energy by reading this page. The aerobic system accesses a massive store of virtually unlimited energy. On this page you'll learn how this system will keep you chugging along forever without ever letting you get out of 2nd gear! Learn all about the energy system that 'burns' right here. The 'burn' isn't lactic acid by the way. Lactic acid is only produced by cows, so be wary of anyone that tells you your 'burn' is due to a lactic acid build-up. It isn't! 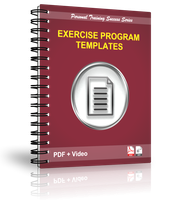 Make writing personal training programs easy with these custom designed exercise templates, and keep your clients focused and progressing. Pain-free clients are happy clients. 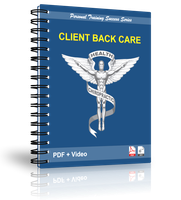 Claim your free copy of the client back care guide today. Your clients will thank you for it!